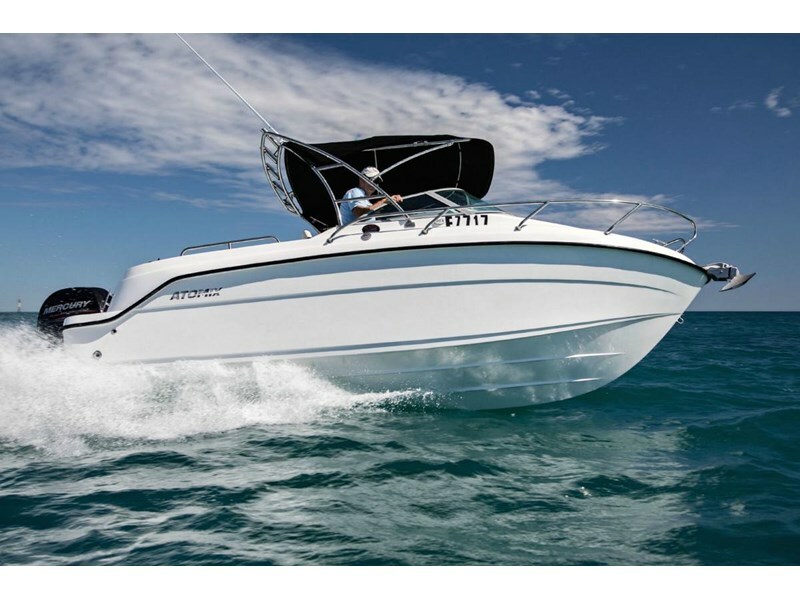 The Legendary Atomix 600 built by renowned Naval Architect (Bakewell White) Is everything youre looking for in a new boat. 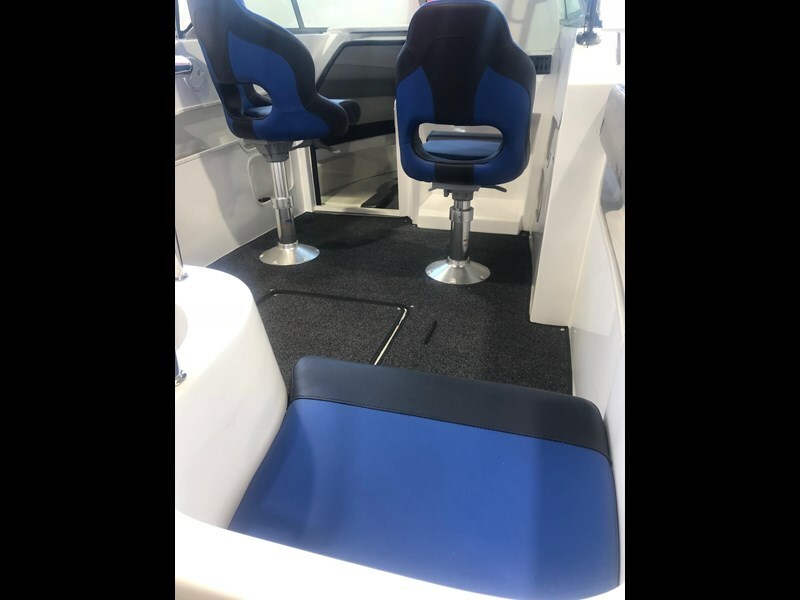 Fit out with the highest spec electronics and motors available on the market today. A lockable sliding door that provides security & privacy in the large cabin that you can comfortably sleep in overnight. 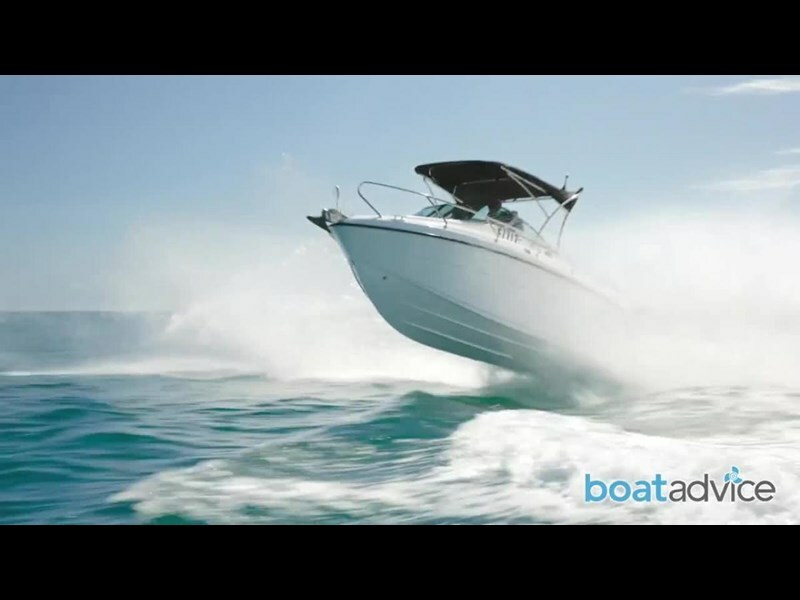 The Atomix 600 vessel is well know worldwide with Independently tested and Certified to meet strict CE international Stability, Freeboard, Buoyancy and Floatation standards, required by over 30 countries including Germany, UK, France and Denmark. 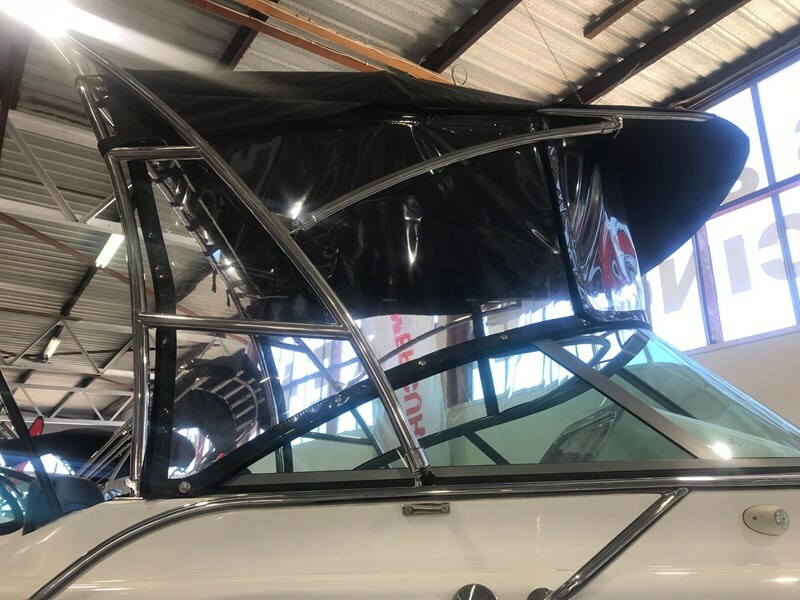 A lockable sliding door provides security & privacy, Premium cabin upholstery, padded side pocket storage, cushion over toilet recess, large tinted cabin hatch and twin skin (easy clean) cabin liner all provide outstanding comfort. 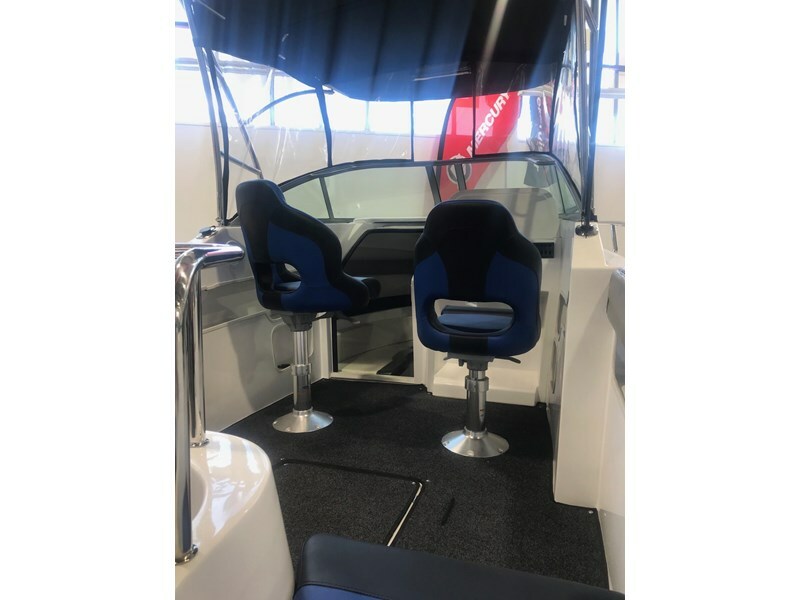 Premium soft gas ride seats, removable rear seats for increased deck space, full twin skin deck construction, built in floor guttering, heavy duty stainless targa bar with overhead rod holders and Sunbrella Bimini are all standard. 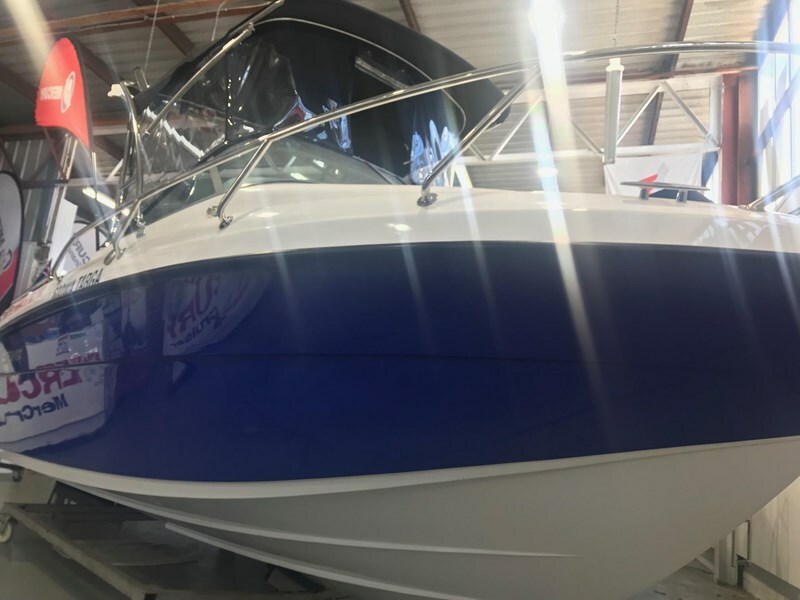 Non slip walk around side access, A large dash for widescreen electronics, walk through bow rail, flat foredeck area, concealed swim ladder and rear boarding platforms are just some of the standards on this fully loaded hull. 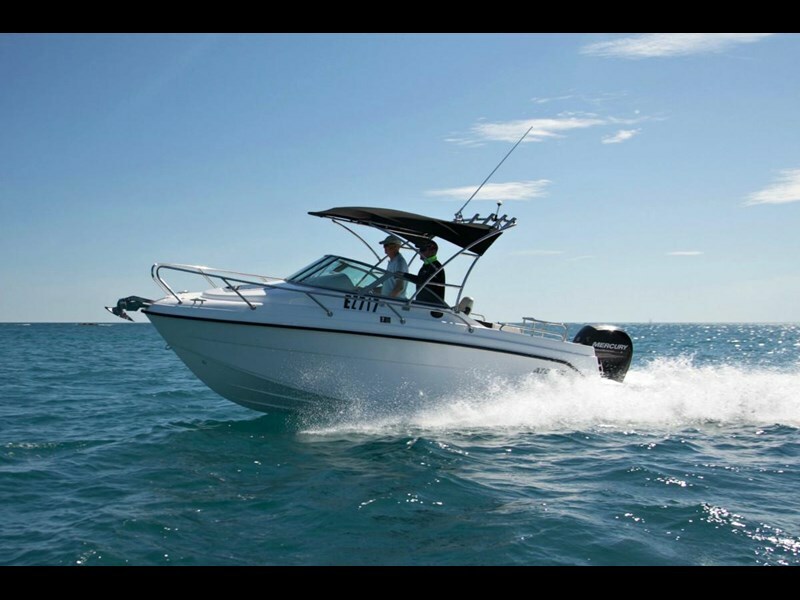 With a high performance resin infused fibreglass hull, zero timber construction, positive floatation, built in hull spray rails and highly sought after Self Draining Decks, the 600 is a capable offshore fisher as well as comfortable day cruiser. 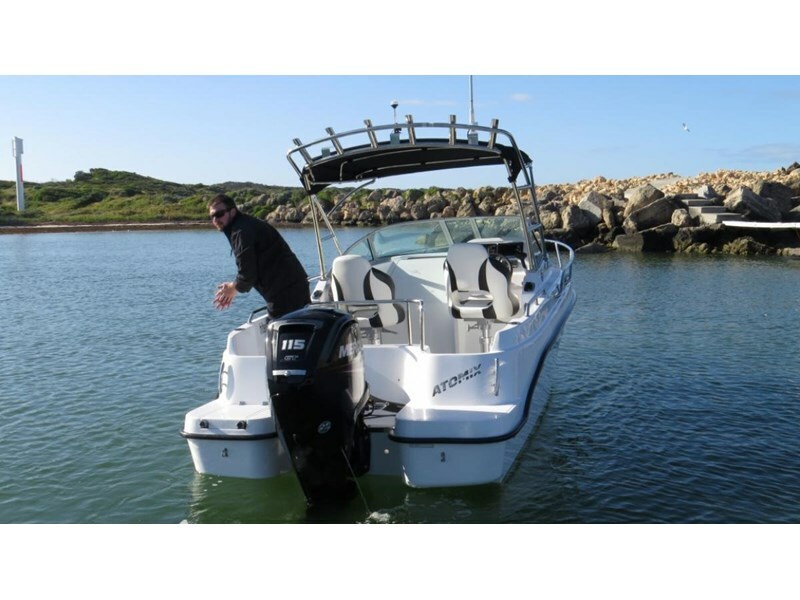 As with All Atomix boats Independently Certified build quality comes first, add the comprehensive list of "Standard" features plus a great warranty and you have one one toughest most value packed Boats sold in Australia today. Over head stainless steel rod holders. 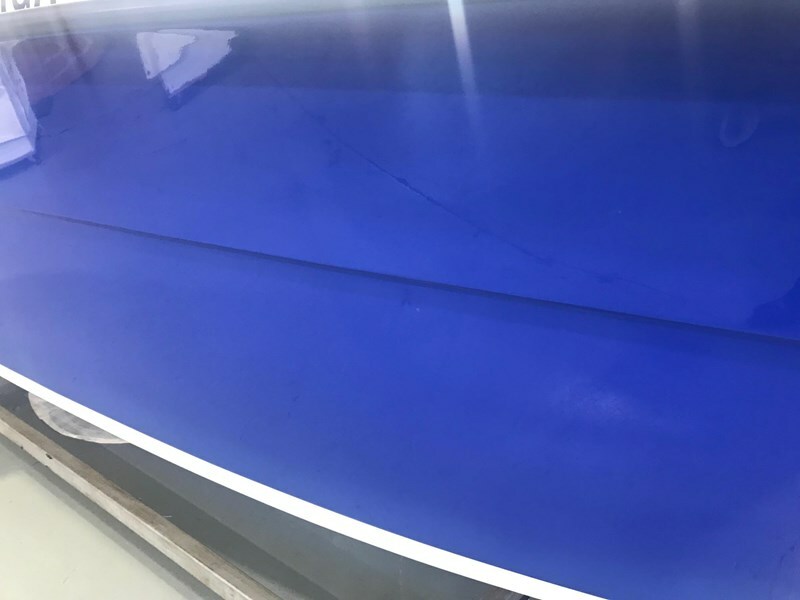 Vacuum Resin infused fibreglass hull construction process lighter, stronger with greater precision and tighter tolerances. 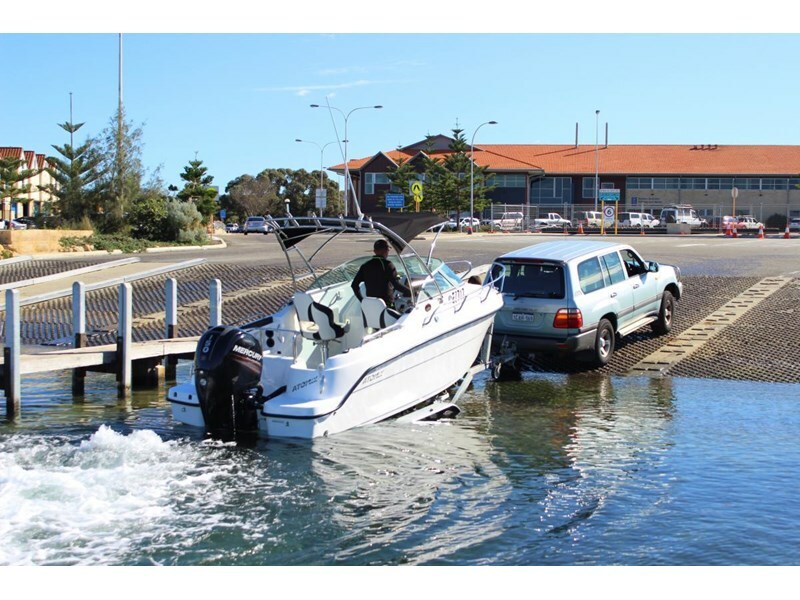 Photos show various other options and setups available. 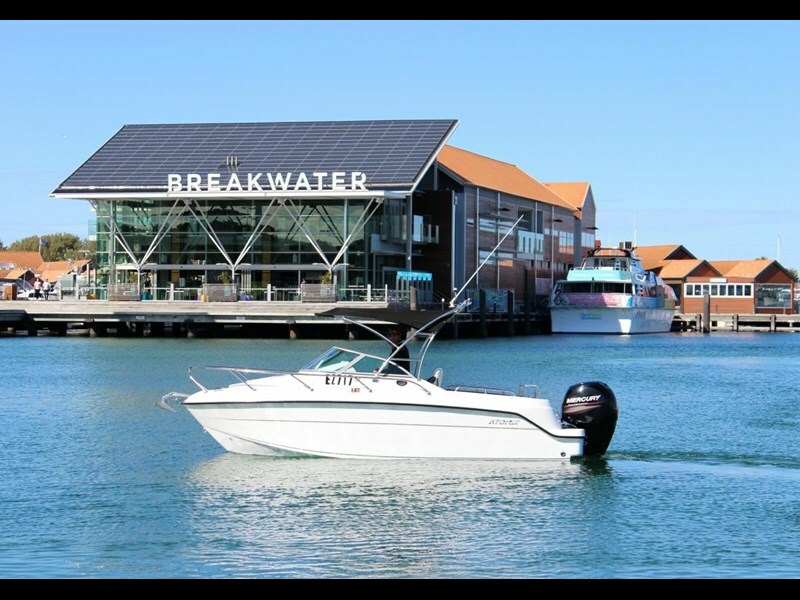 Finance Available From $212.99 per week over 7 years. 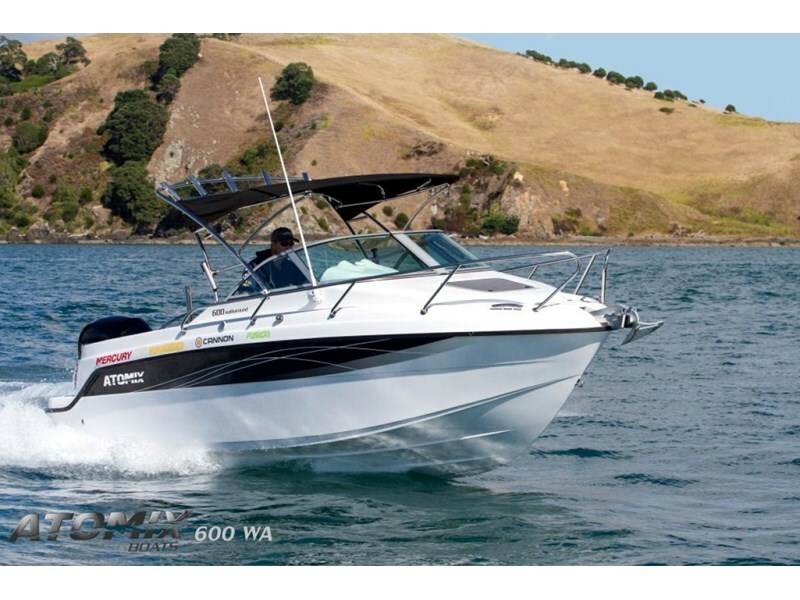 Atomix 7500 Sports Cruiser, like Mustang, AS NEW 90 hrs, Volvo Penta, perfect condition.